Ever wondered what happens during an EWS Challenger race? Then look no further! The Challenger races let you experience racing some incredible EWS stages in awesome locations, in a relaxed format with less rules. And then you get to watch the pros hit some of the same course the next day and compare your times! In the world of mountain biking, Whistler needs no introduction. As such, Whistler remains a recurring and much anticipated stop on the Enduro World Series circuit year after year. With Josh Carlson and Rae Morrison sidelined with injuries, each took on supporting roles for Mckay Vezina who would be left to fly the team flag through the weekend. There have been some dramatic races in Whistler over the years, but round six of the Enduro World Series, the CamelBak Canadian Open Enduro presented by Specialized, will go down in history as one of the most fiercely contended yet. Over 300 riders battled it out across five big stages, and once more it was a race that came down to the wire, where less than a second could be the difference between triumph or tragedy. EWS 2018: The most famous trail in the world? Top of the World has become synonymous with Whistler Bike Park - no trip to this mountain biking mecca is complete until you've taken on this mythical beast. Over 5000m of descent taking in 14 different trails and every type of terrain imaginable. Ahead of the 2018 Enduro World Series race in Whistler they ask - is this the most famous trail in the world? Round six of the Enduro World Series is about to go down on Whistler's hallowed trails. The annual pilgrimage to Crankworx to race some of the most iconic trails in the sport is always one of the most anticipated races of the year. This year's event will see the riders take on five epic stages this Sunday in what is sure to be one of the most dramatic races of the year. Ric McLaughlin had to skip this round, so who better to accompany Chris Ball on the course preview than Whistler local Tristan Merrick? The fifth round of the Enduro World Series threw everything it could at the riders; huge stages, weather induced schedule changes and some of the rowdiest trails of the season. It was the third time the series had visited La Thuile, high in the Italian Alps, and this was definitely its most dramatic outing yet in a race that proved to be a true test of bike and body. If ever there was a testing ground for equipment it would be La Thuile. High in the Italian Alps, this small resort offer up some big mountains and some of the steepest, rockiest terrain on the circuit. Ric McLaughlin caught up with the pros at round five of the EWS to see what changes they've made to their set-ups ahead of the race. 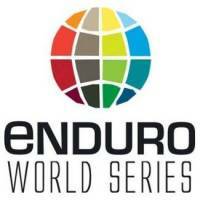 The Enduro World Series is back in the big mountains of La Thuile, Italy for round five. Steep, gnarly tracks in the same mountain range as Mont Blanc - how hard can it be?! Ric McLaughlin and Chris Ball take them on to find out.